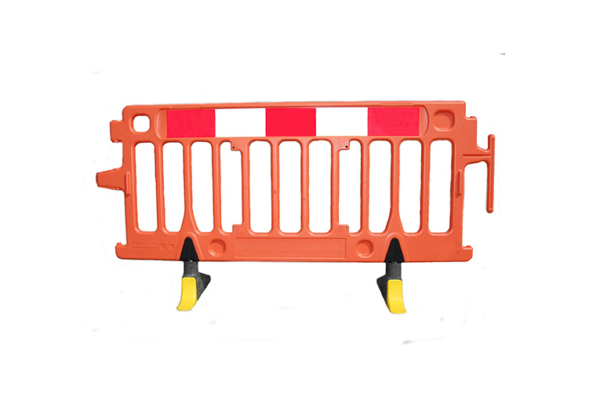 Avalon barrier hire is available from Site Equip in the form of the temporary avalon orange barrier hire the preferred pedestrian safety barrier on the market. It is very popular for preventing access to construction and building sites whilst keeping the public safe. The interlocking barrier uses its grooves to ensure a secure stand, without sliding apart and calls for no extra parts. When dismantled it can also be stacked very easily. The avalon barrier hire is specially designed to overcome trip hazards, ensuring public safety at all times. The avalon barrier hire is built in away that even on uneven ground, over kerbs or across rough terrain it is stable and the links and joints are secure. To prevent unauthorised dismantling it is also possible to be placed on locked or unlocked configuration modes. Why order your avalon barrier hire from Site Equip? Site Equip can deliver your avalon barrier hire across the South of England including; Hampshire, Surrey, Sussex, London, Berkshire, Buckinghamshire, Kent, Sussex, Oxfordshire, Wiltshire and Dorset. In additional to delivery our team of qualified operators can also erect the barrier hire on your behalf.